Obsidian’s extra-terrestrial RPG is shaping the future with the past. Among the familiar booths at PAX East was a portal to the furthest reaches of colonized space where everything is the same but different. 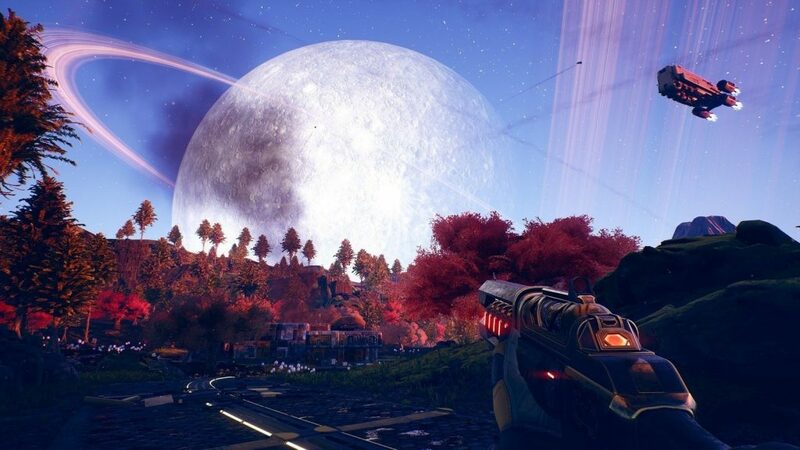 The Outer Worlds takes the home-grown human inventions that we know and love – like unrestricted capitalism – and takes them to their wildest conclusions in the far-flung future of an alternative timeline that starts when President McKinley isn’t assassinated at the start of the 20th Century. Looking back to look forward is the name of the game with Obsidian Entertainment’s upcoming space RPG, which mines the rich vein of alternate history sci-fi like the studio’s crowning glory – Fallout: New Vegas. The latest gameplay demo saw us exploring the affluent city of Byzantium on the utopian planet of Halcyon, a rare gleaming jewel in the outer rim. While the city is replete with art deco style buildings which look impressive from afar, up close they’re less kempt, as much of the populace has turned to debauched forms of entertainment such as bloodsport theater. The game’s theme of extending capitalism out to the stars even percolates down to the gameplay, where despite having many items to loot, there is no crafting whatsoever, as hypercapitalism has completely eradicated anyone’s ability to own the means of production. The humour of this world comes through strongly in all of your interactions with it. The influence of what many consider to be the best in the Fallout series is most evident in the dialogue which allows you to interact with The Outer Worlds in almost as many ways as you could ever want. Many interactions, such as a conversation with a hapless actor in a lethal product placement commercial, evoke the funniest moments of New Vegas or Obsidian’s more fantasy-oriented RPG, Pillars of Eternity. More of the studio’s roots are exposed in the game’s earliest moments, with a career aptitude test as part of the character creation. Set classes are a staple of fantasy RPGs, rigid little boxes you pick after something about their archetype appeals to your soul, however here Obsidian gives you the option of finding your character – and also abandoning them. You’re under no obligation to actually become whatever your career aptitude says you should be, however that choice to abandon your path then also informs the world about who you are, and how to treat you. Louder is better! 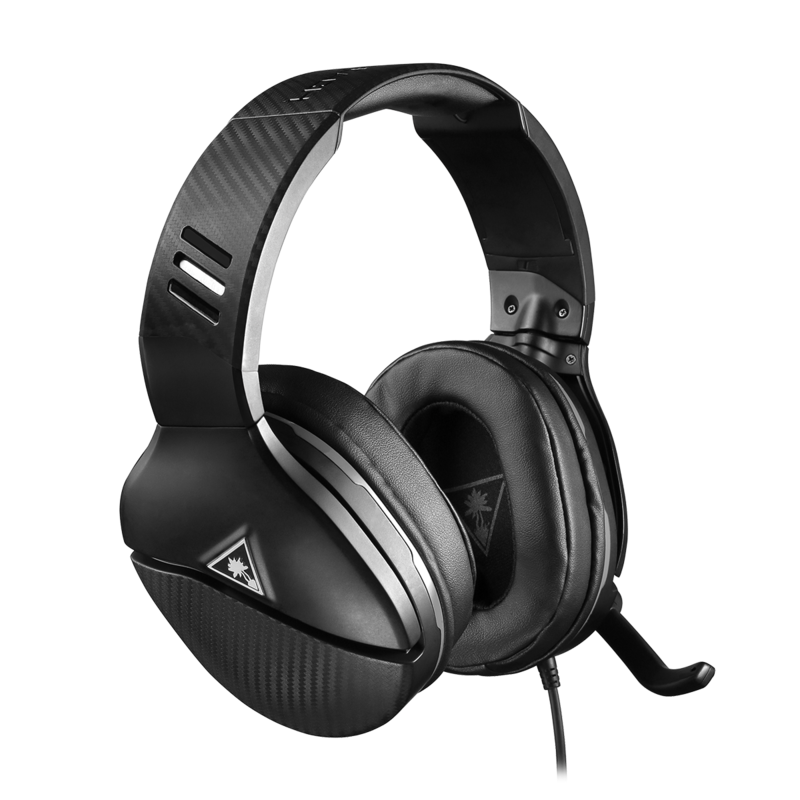 Immerse yourself in your Xbox One and PS4 games with the Turtle Beach Recon 200‘s powerful amplified audio with Bass Boost. What director Tim Cain described in Obsidian’s PAX East panel as “The Outer Wilds” is a constantly observing game system, analysing your choices and reacting to them. This extends beyond dialogue options as your character can become Flawed by their run-ins with the local flora and fauna. If you end up taking too much damage from an alien plant, you’ll be scared of them and take more damage from them in the future, too. It’s not all downside though as any Flaws you choose to pick up will grant you perk points you can spend on abilities, too. Growth through struggle. This psychological response to combat could be influenced by Darkest Dungeon’s Affliction system, but the impact of your actions on yourself and the world is something the pair of Tim Cain and co-director Leonard Boyarsky have been masters at through their time in the industry. Their last project together, Vampire: The Masquerade – Bloodlines, helped merge the immersive sim with RPG progression when it released in 2004. With a long-awaited sequel finally on the way, the pair are also digging out their old notebooks to find new mechanics, things that could never work until now. We’re excited to see what else they manage to pull out of the past to shape the future of RPGs. 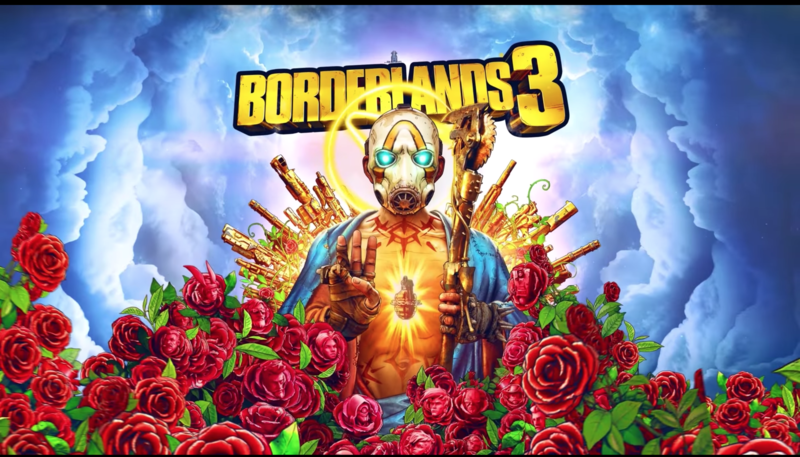 Since the announcement and reveal of Borderlands 3, we’ve not only had a walkthrough of the Mask of Mayhem trailer, but two separate gameplay trailers which give us a much clearer idea of what to expect from the game.